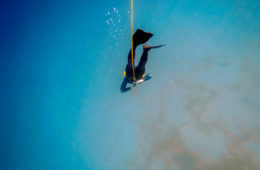 Is Freediving in The Philippines Worth It? 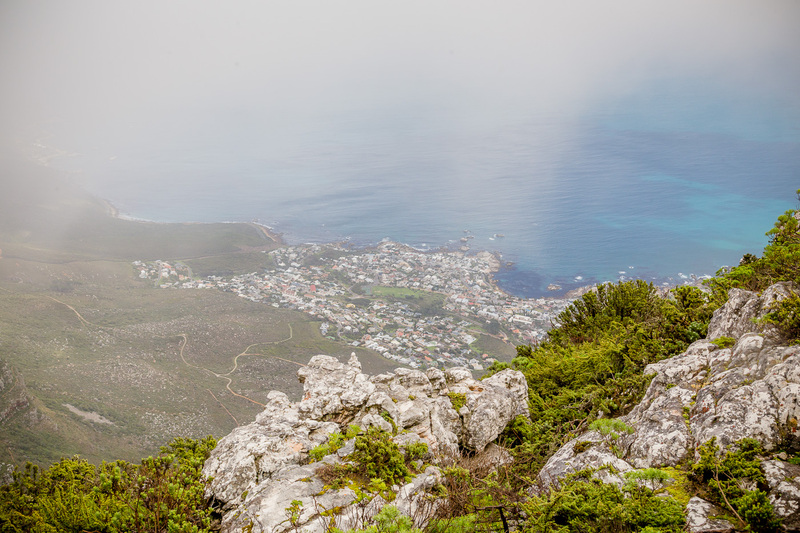 A sweat-inducing hike up Cape Town’s iconic Table Mountain promises to reward the adventurous pursuer with some of the most spectacular urban vista views on earth. 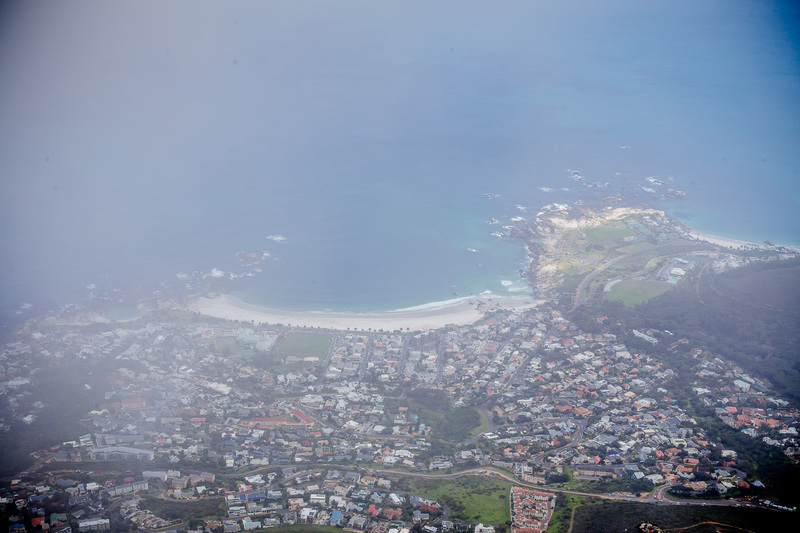 From Robben Island to Camps Bay and Lions Head you can see it all from the summit. 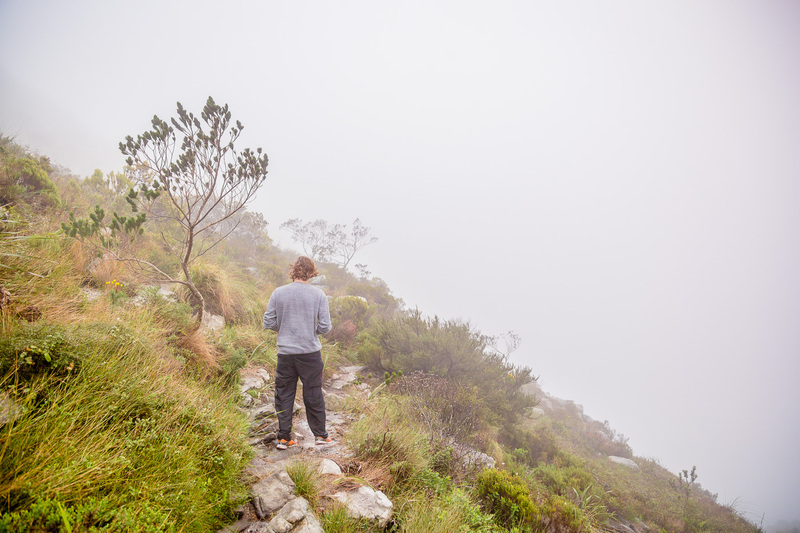 That is, of course, unless a heavy mist decides to suddenly and unexpectedly engulf the towering plateau in a thick, cold cloud blanket. 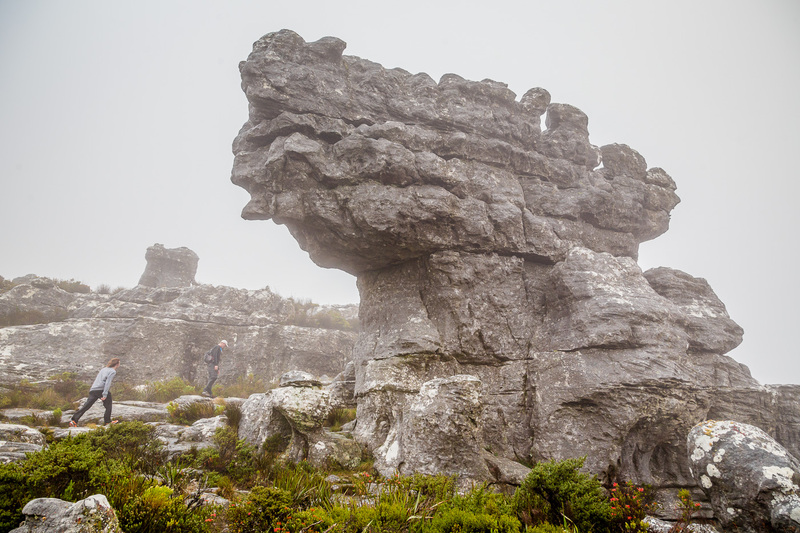 Unfortunately for us Table Mountain’s aptly named “table cloth” cloud is all too regular an occurrence during Cape Town’s winter months and paid a visit during our recent hike up the Skeleton Gorge trail. 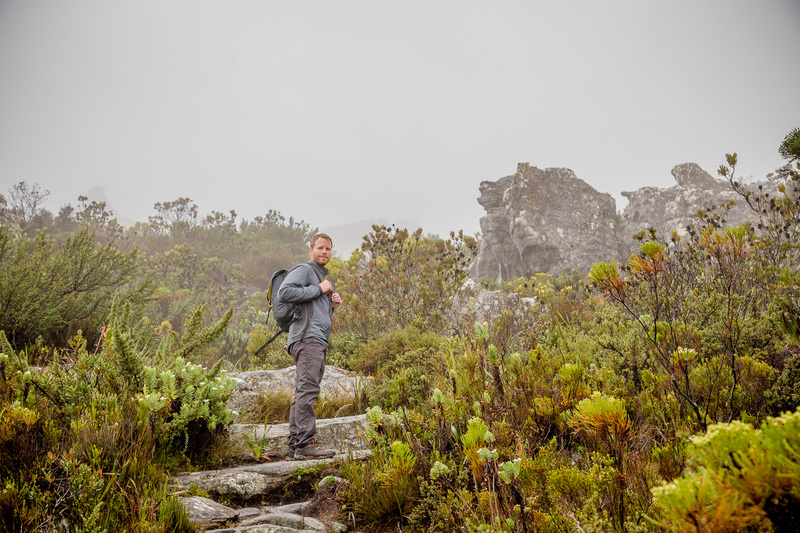 Missed epic views aside, we were happy to conquer South Africa’s New7Wonder of Nature by reaching the summit of Table Mountain on foot with our Capetonian friends all while surviving the unexpected wind and rain storm to boot. 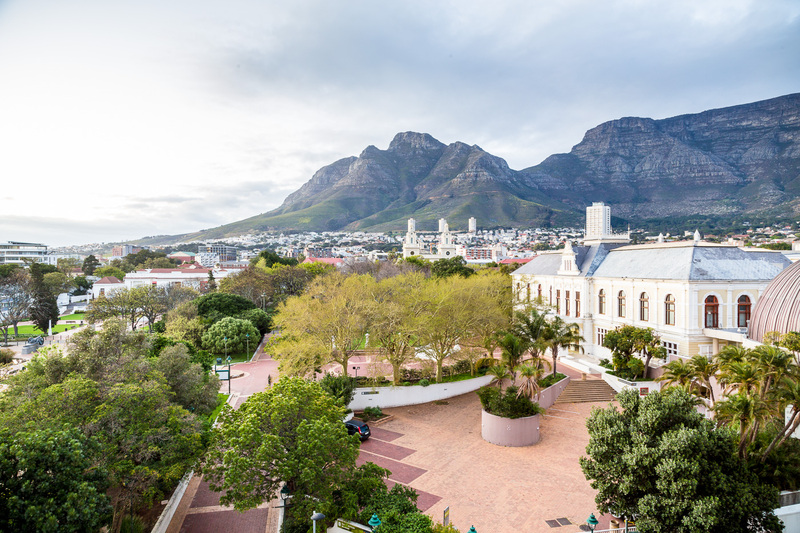 If you were to ask any tourist or resident for a Cape Town landmark they would almost assuredly reply “Table Mountain.” This local icon looms high above South Africa’s most charming eastern metropolis making its presence known on the skyline from most vantage points around the city. Positioned where it is at the intersection of the Indian and Atlantic oceans, Cape Town generally, and Table Mountain in particular, are at the center of highly unpredictable weather patterns. 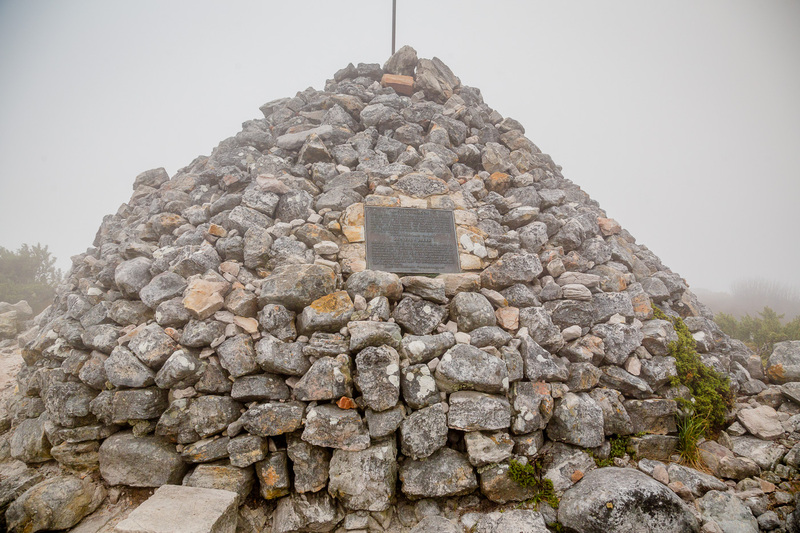 Indeed some go their entire visit without getting the chance to reach the Table Mountain summit. 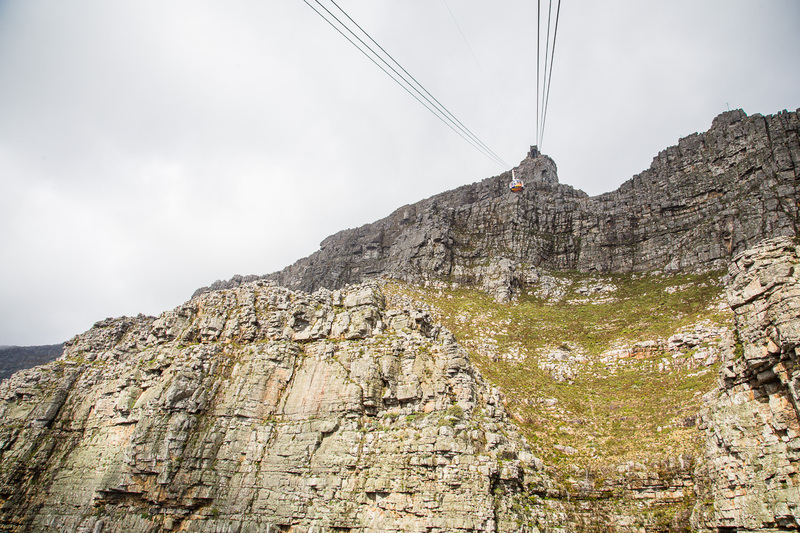 For the two days prior to our hike, the Cable Mountain Cableway was closed down due to inclement weather. 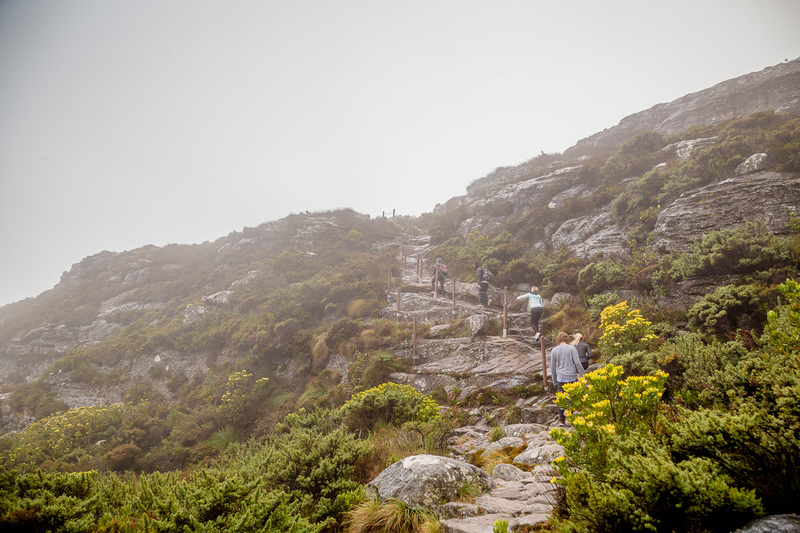 If the weather cooperates long enough you do have options – many in fact – for reaching the top. 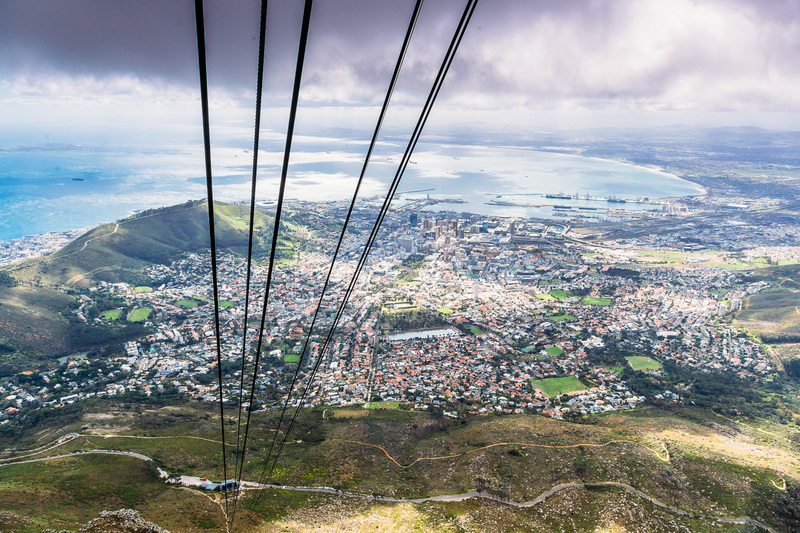 The Table Mountain Cableway is the fastest, easiest and for obvious reasons most costly option. 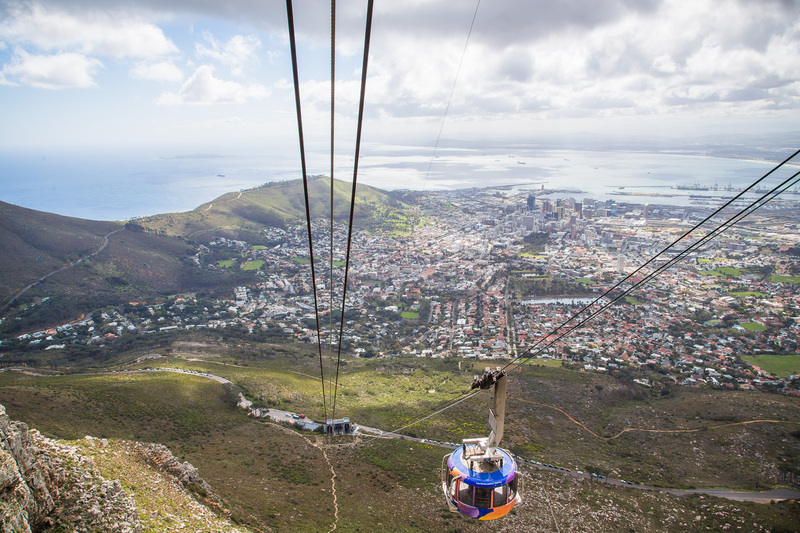 You can buy one-way and round trip tickets in advance or at the lower Cableway station. 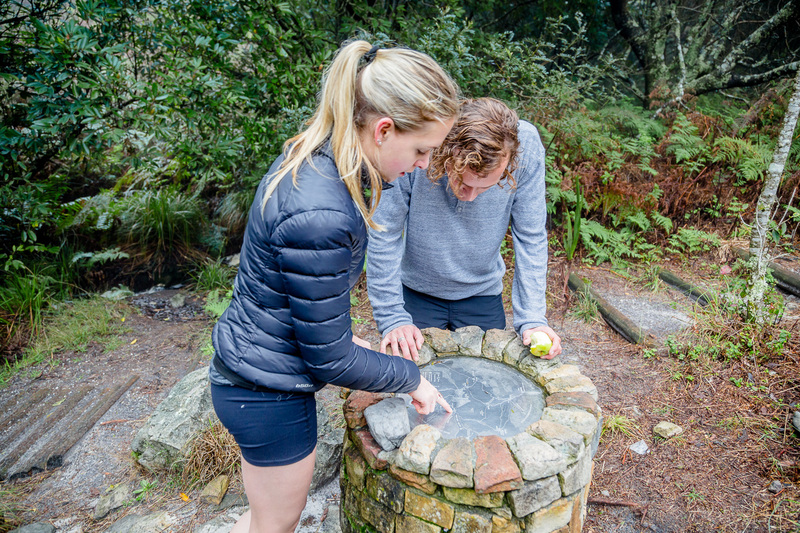 But when friends Piers, Kirsten and James proposed the option of joining them on a hike to the top, we knew it was a challenge we couldn’t refuse. 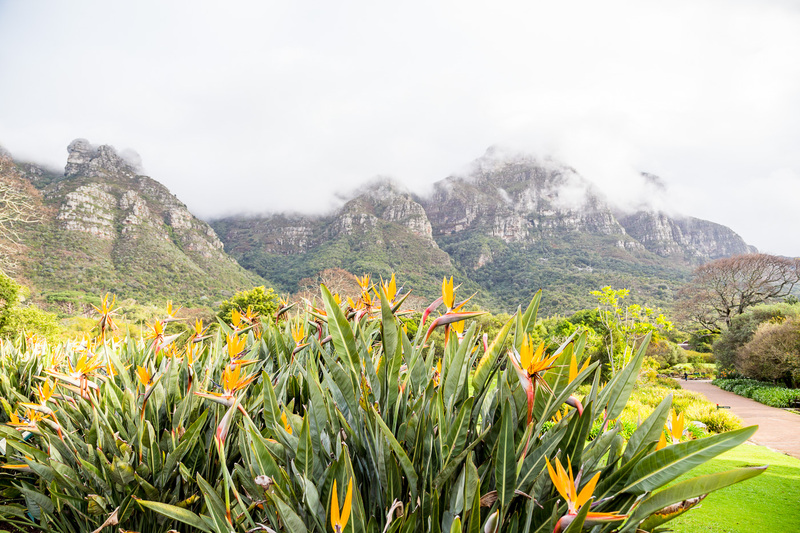 Drenched in sweat with knees covered in mud, I realized this was not the easy morning hike I was expecting when we set off from the beautiful Kirstenbosch National Botanical Gardens an hour ago. 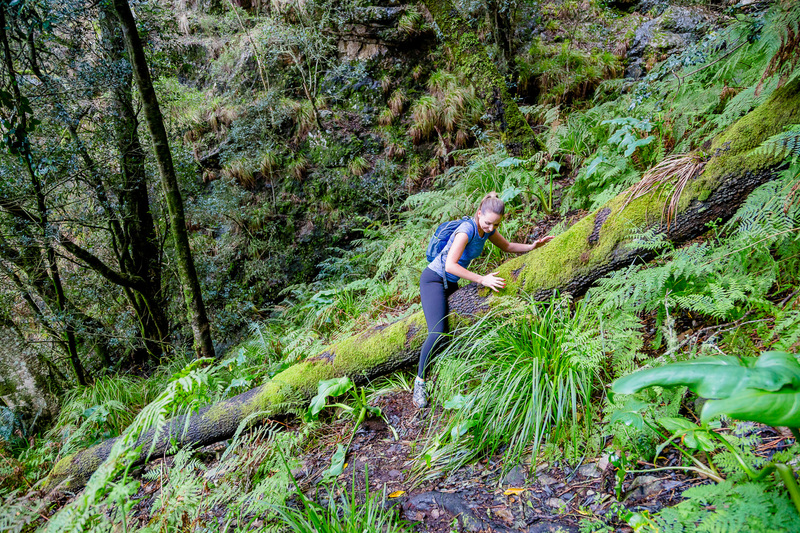 Somewhere more than a few minutes back we had lost the trail and it wasn’t until now, as I was grabbing desperately onto tree roots to keep me from sliding down the steep precipice, that I could officially confirm it. 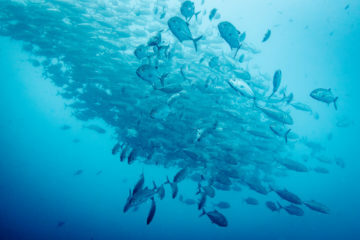 I was at the back of the pack trying hard to keep up with our younger friends, Piers, Kirsten and James. 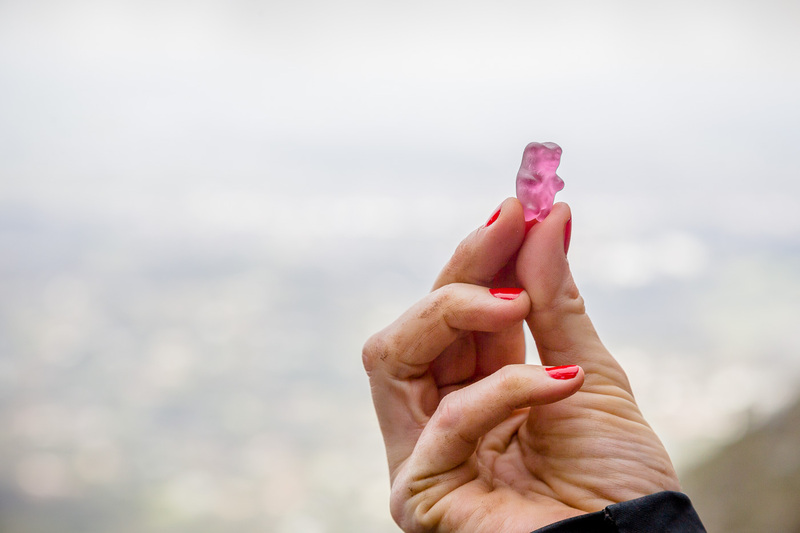 This is what adventures are made of right? 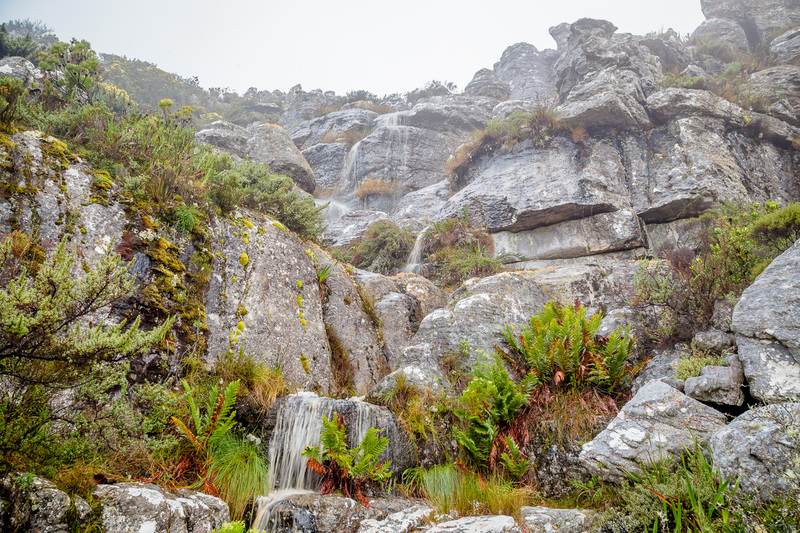 Skeleton Gorge, whose name luckily has no known direct implications as to the fate of former hikers, is meant to be the more leisurely hiking route up Table Mountain. 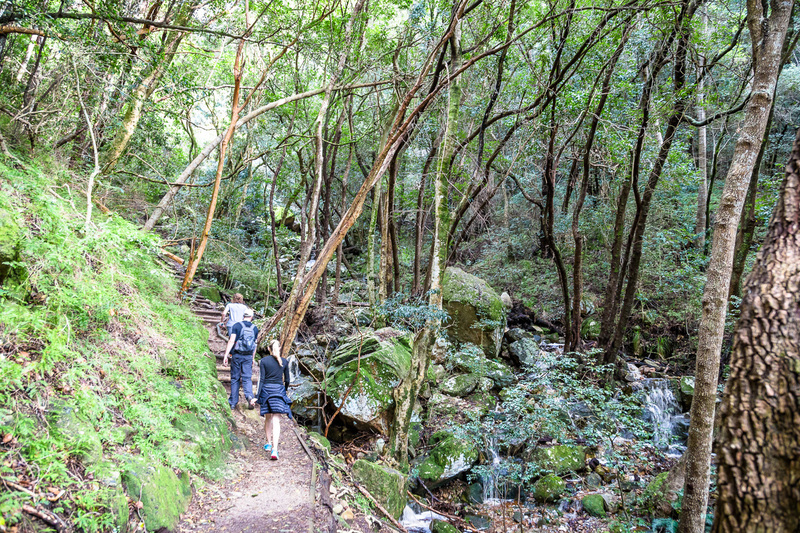 What hikers refer to as the Skeleton Gorge route is actually comprised of three separate trails: the path from Kirstenbosch Gardens up the Skeleton Gorge ravine, the top of the ravine to Maclear’s Beacon (a trail known as Smuts Track), and the path traversing the entire summit of the Table Mountain plateau to the Cableway station. 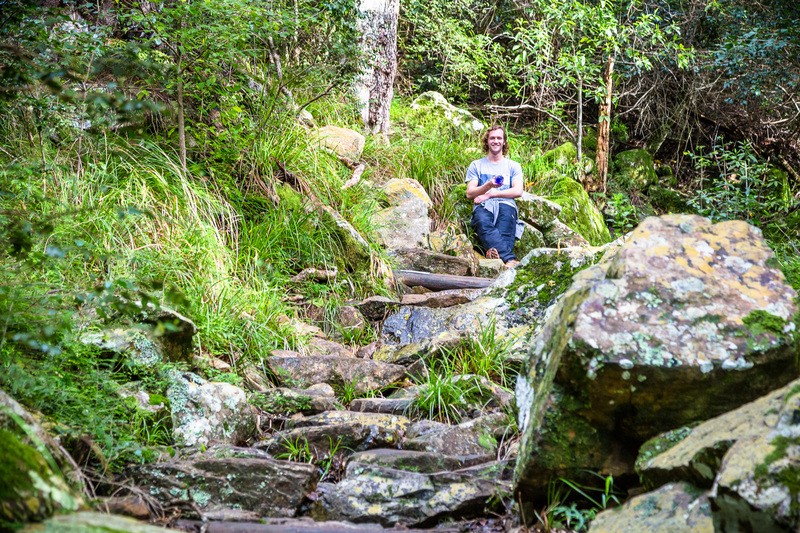 Our hike started out easy enough on a well worn trail leading away from the south side of Kirstenbosch Gardens. 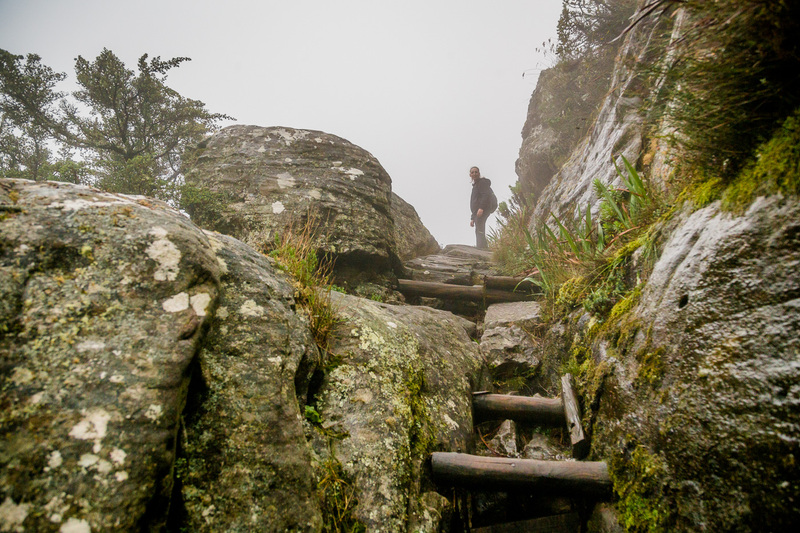 The rocky dirt path wound us slowly and steeply upwards with intermittent stair stepping and bouldering. Then somewhere about half-way up the gorge we lost our way for a bit, likely a result of all the recent rain washing the tracks away. 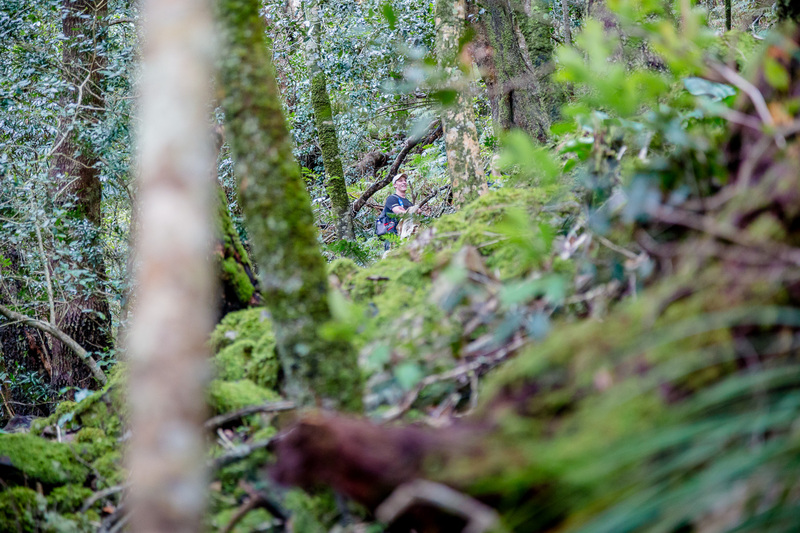 After 10 minutes off-roading and scaling steep hillsides of ferns and fallen trees we reached a clearing where we enjoyed our packs of jelly babies and prepared for our ascent on Smuts Track to the highest point on Table Mountain. 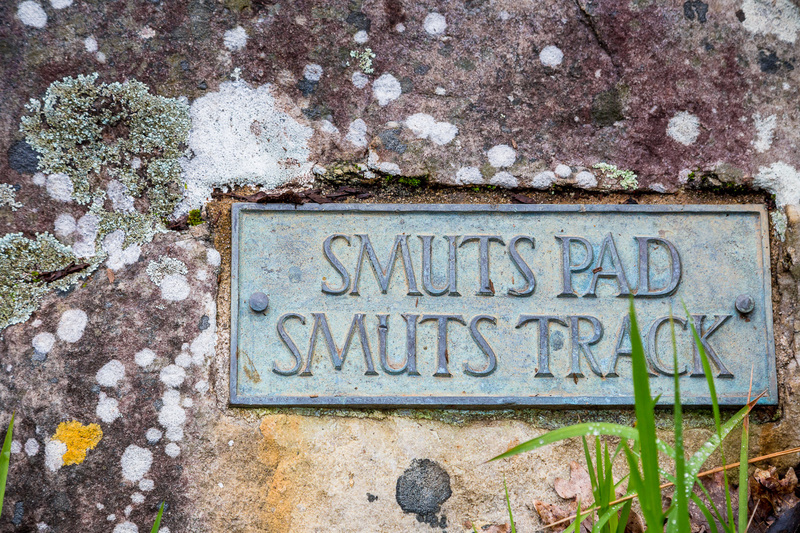 The second leg of our trek on Smuts Track was beautiful. 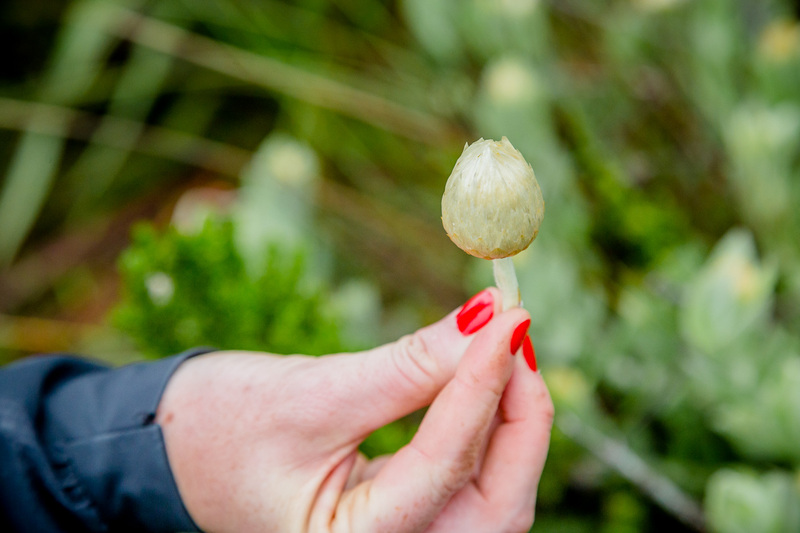 The array of flora we saw was incredible. 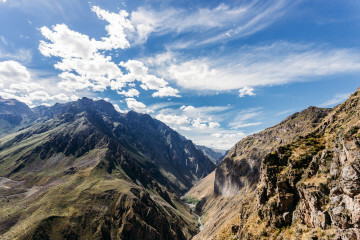 Unfortunately the table cloth cloud was so thick at this point we didn’t have any concept of how high we were or how stunning our surrounds were. 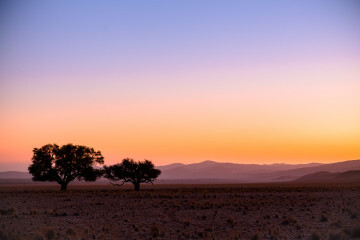 But I was told had it been clear we would have been wowed by the views. 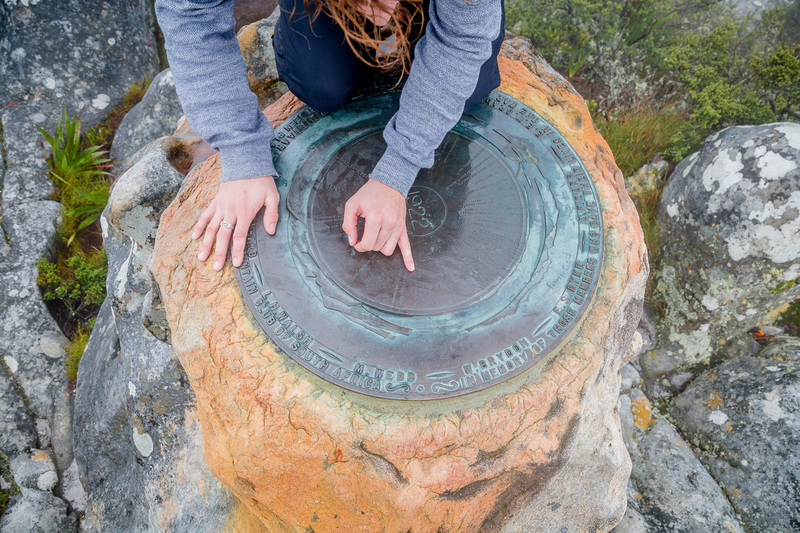 From Maclear’s Beacon, the highest point on Table Mountain, we carried on through large boulder fields and forests of Cape Flynbos traversing the entire length of the table top. 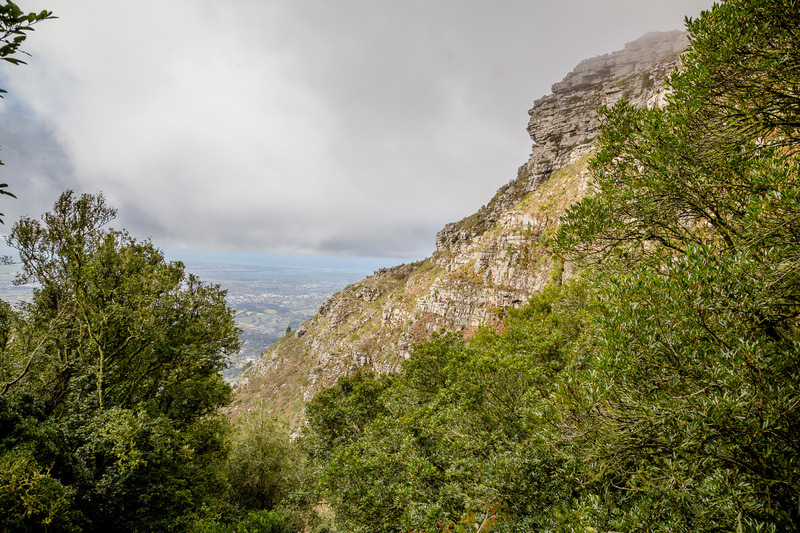 I’m not sure any of us were quite prepared for how large Table Mountain was at the top (roughly 3 kilometers or 2 miles). 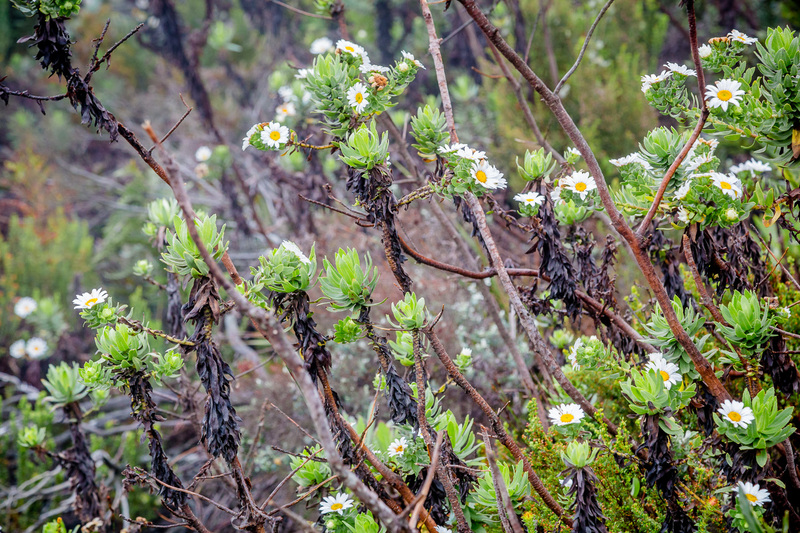 In the rain and cold, it seemed like quite a long journey to reach the Cableway and so was a welcome sight when the shiny buildings of the upper station came into view. 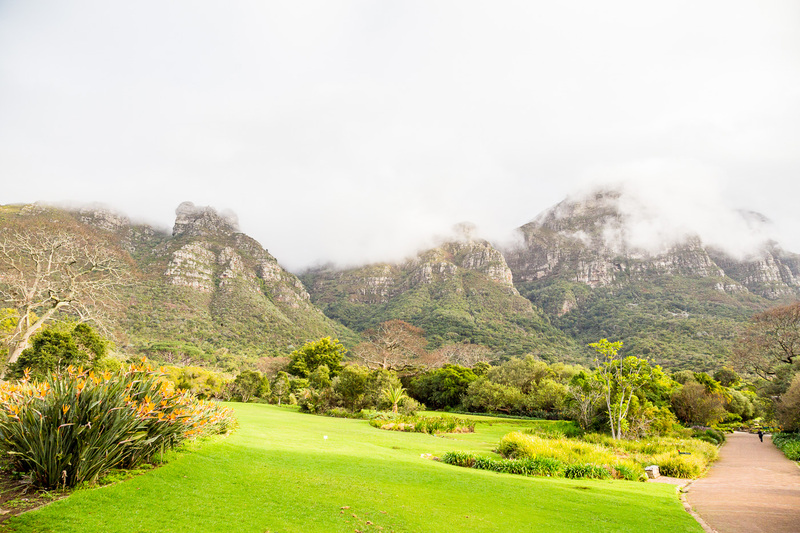 When we first strolled up to the upper Cableway station, the attendants advised us that the cable car was to be closed indefinitely until the weather cleared. 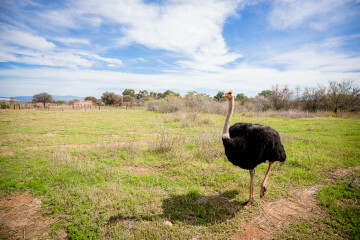 After being taken by surprise on our hike up, we were ready for a safer and dryer ride down. Luckily after waiting only a few minutes they resumed the cable car services again and we were on the first ride down. 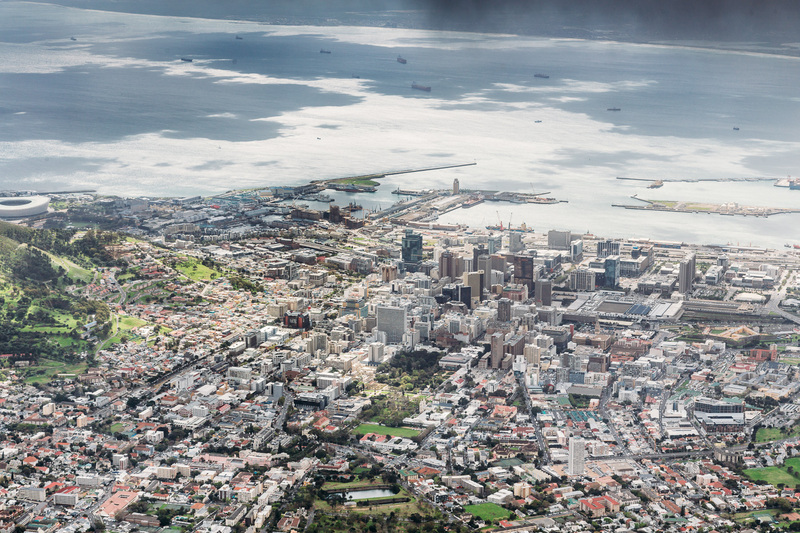 As we descended the 1,000 meters we had just sweat to climb, the full view of City Bowl and Table Bay Harbour came into focus. 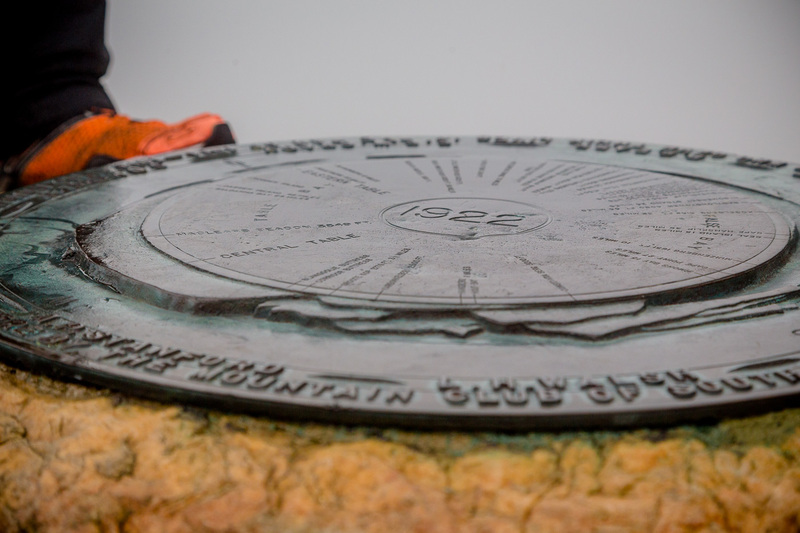 The views were breathtaking and made our victory to the summit all the more sweet. 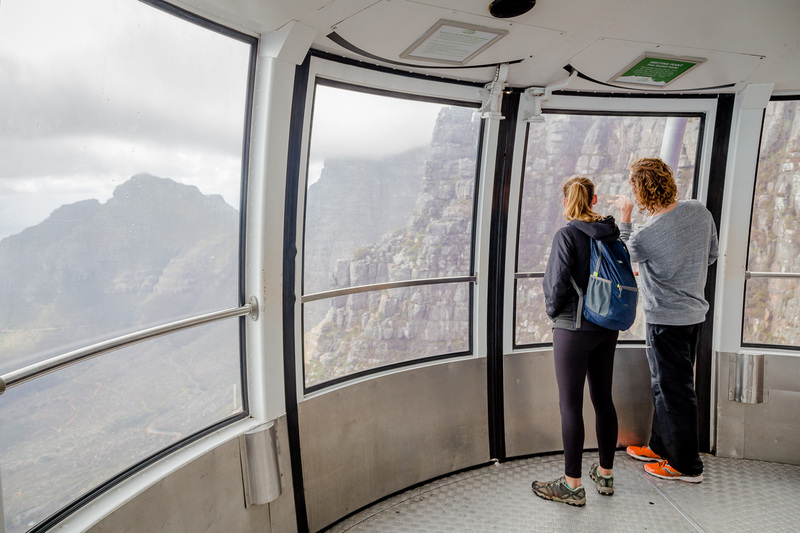 Due to poor weather conditions that day, the Table Mountain Cableway was closing intermittently while we were at the summit. 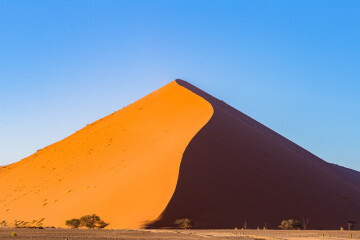 When it opened back up we happily took the (warm and dry) ride down but had it not, we would have had to opt for a more arduous route to the bottom via the Platteklip. 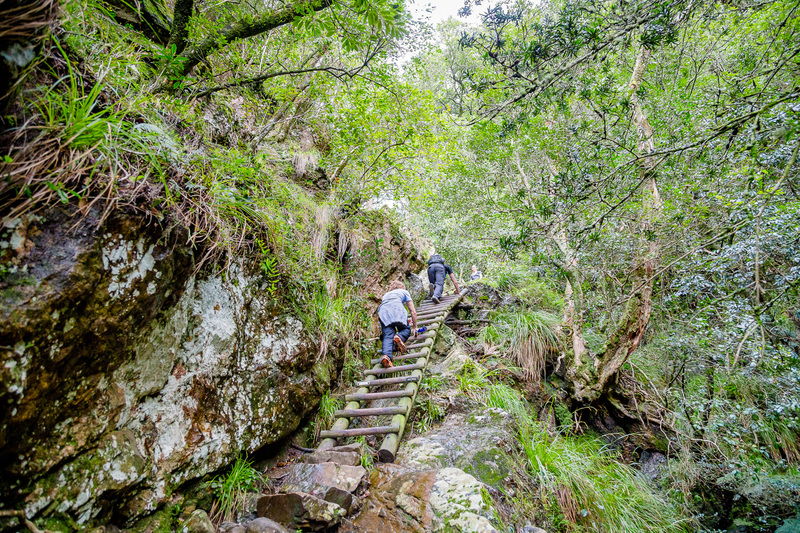 Of those who decide to hike to the summit of Table Mountain, a reported 80% ascend by way of the Platteklip Gorge. 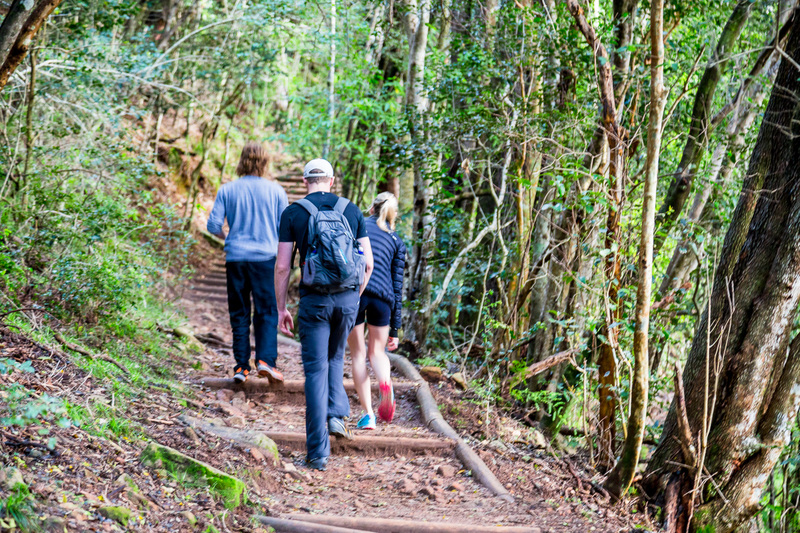 Unlike the Skeleton Gorge trail we took, the Platteklip is a straight shot route to the top departing near the lower Cableway station on Tafelberg Road. 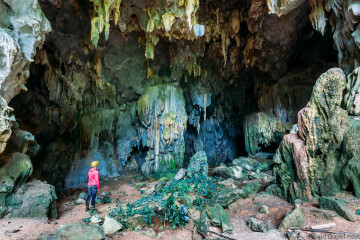 While you cut your trek time more than in half to between 45 minutes to an hour and a half you will be stair stepping and scaling vertical rock faces at times. 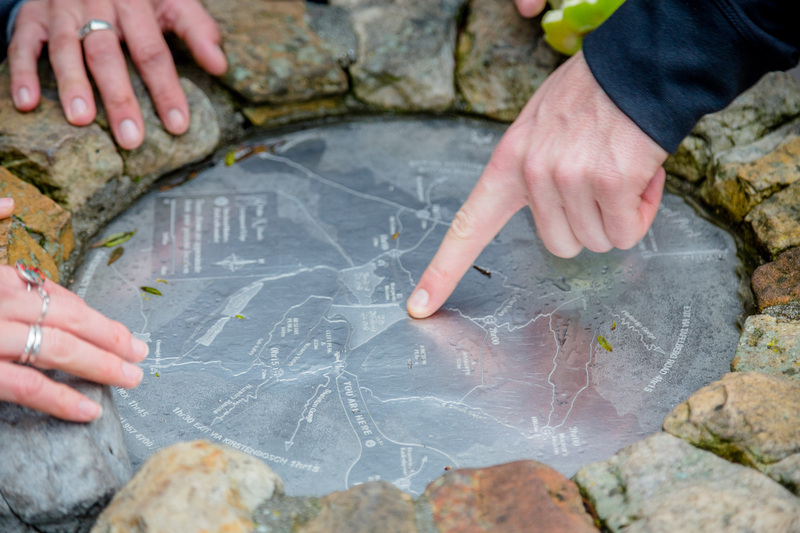 This trail is less sceneic than others but if it is the summit victory you are after this may be an ideal route to consider. 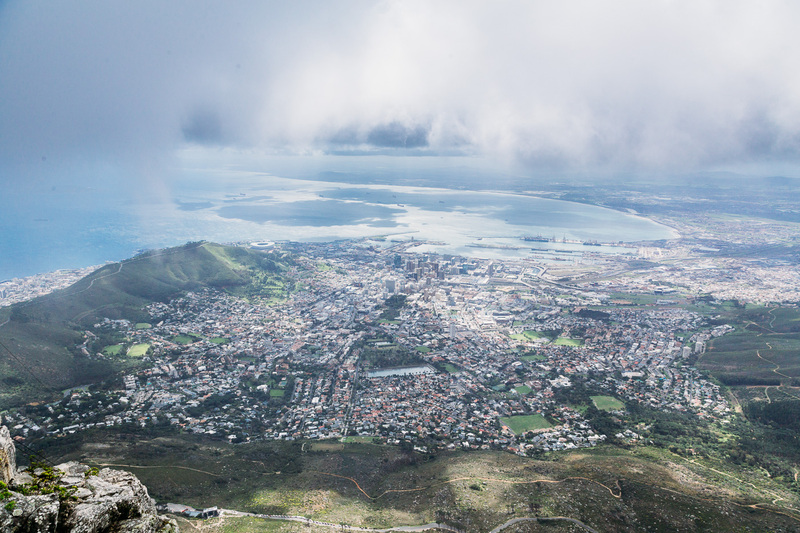 What: A half-day hike to the top of Table Mountain is what often completes any traveler’s visit to Cape Town. 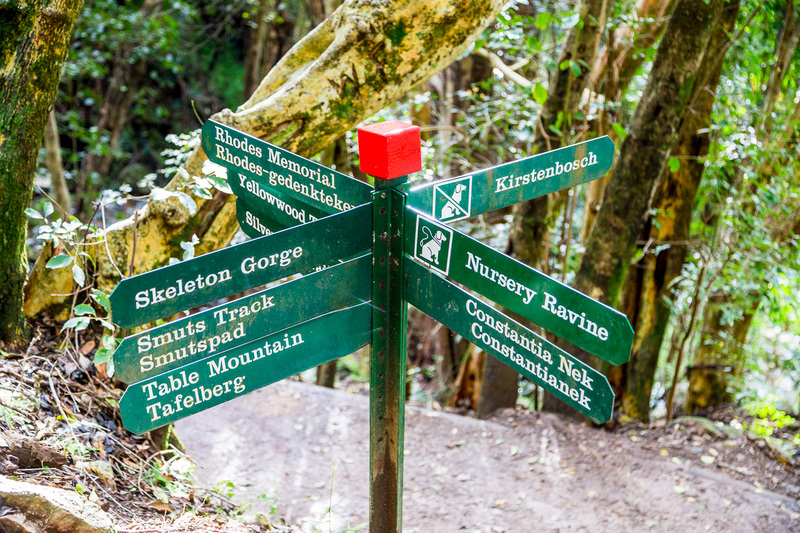 Where: Skeleton Gorge / Smuts Track trail departs from Kirstenbosch National Botanical Gardens. 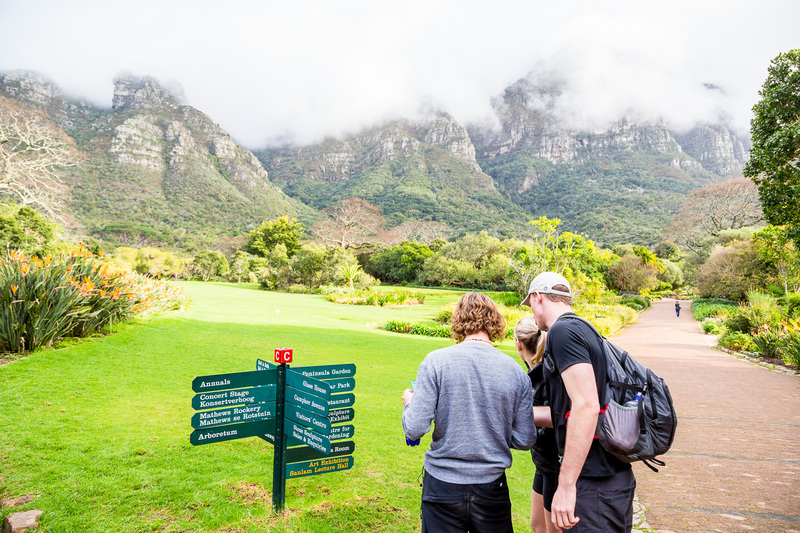 Once inside Kirstenbosch you can find maps directing you to the trailhead. 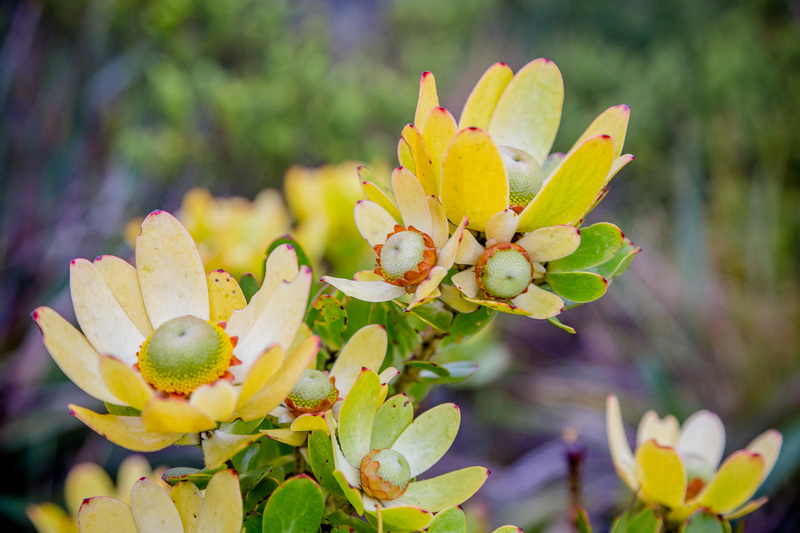 Consider spending a couple of hours exploring the gardens while you are here. 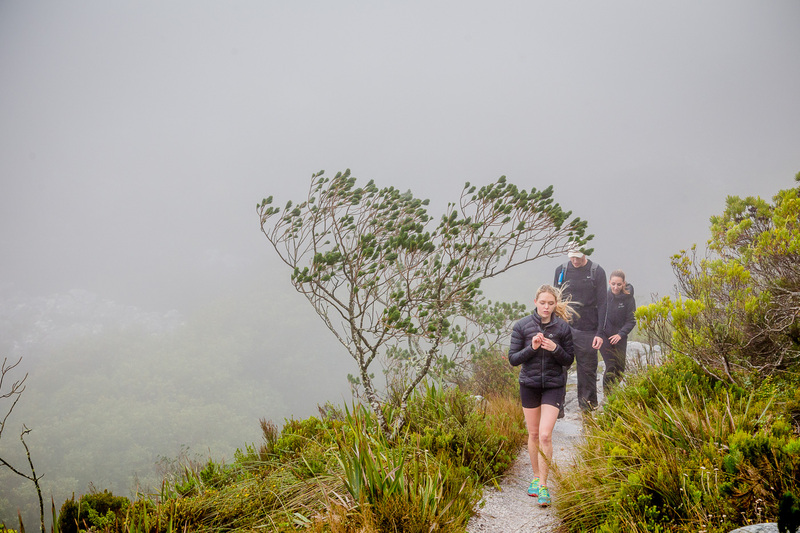 When: Cape Town’s slogan should be: “Leave the house prepared for any weather.” Due to its position at the crosshairs of the Indian and Atlantic oceans, Cape Town and its towering landmark Table Mountain are subject to some strange and sudden weather spells. 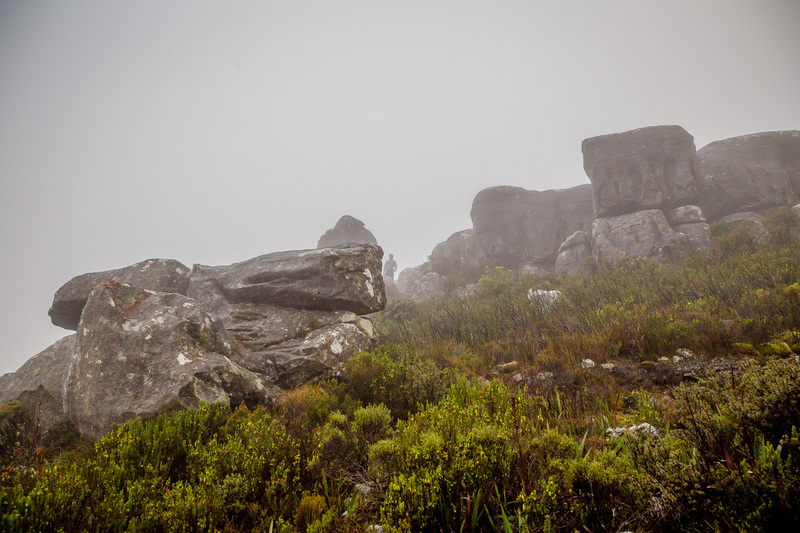 Check the daily weather report before heading out on any hikes. 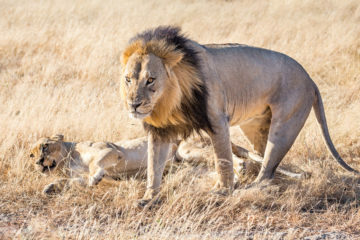 And regardless of time of year, plan to hike prepared with plenty of water, food and jackets. 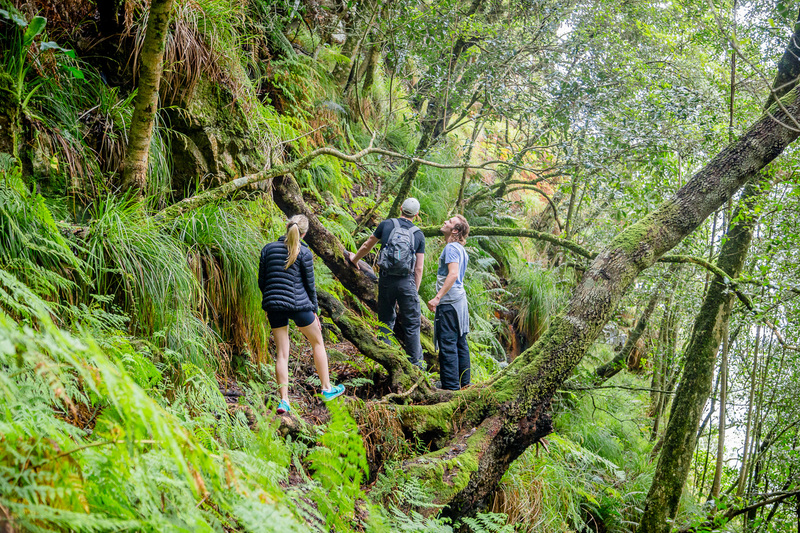 How: You can summit Table Mountain the easy way via cable car but we suggest choosing one of the many multi-hour treks to tackle this New7Wonder of Nature. 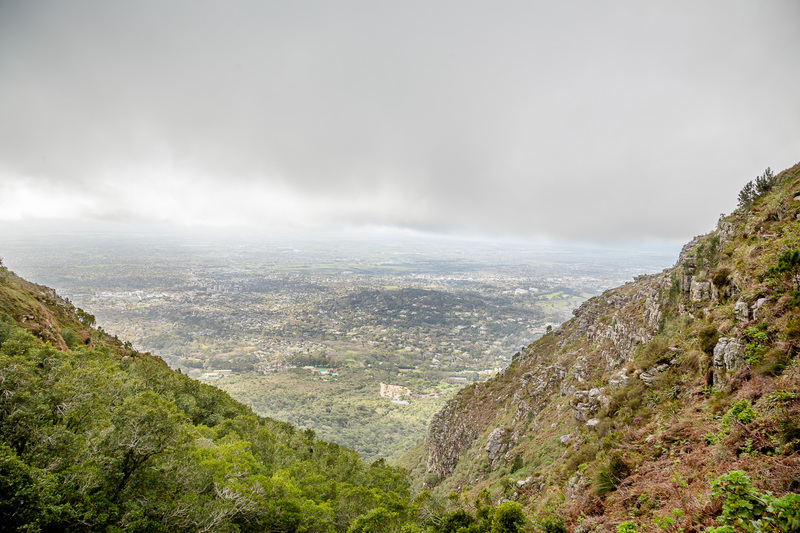 Skeleton Gorge and Smuts Track took us 1.5 hours to reach the summit and another 45 minutes to get to the upper Table Mountain Cableway Station. 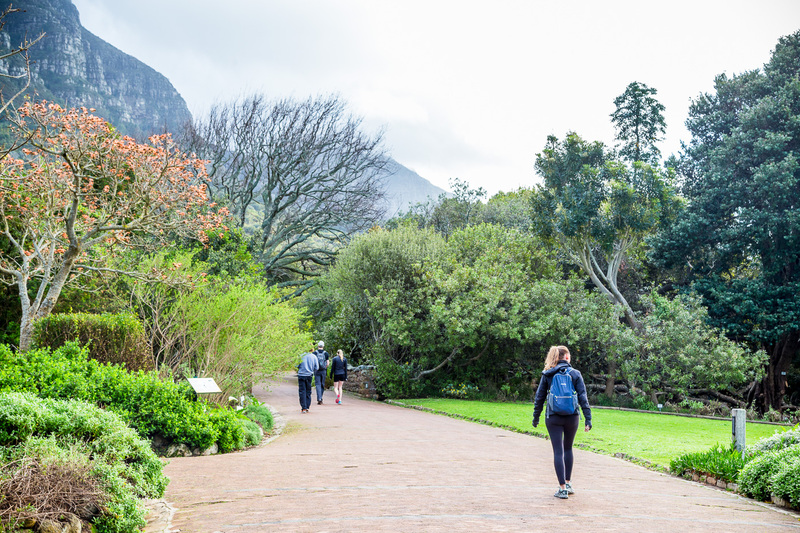 Cost: If you plan to reach the summit of Table Mountain via Skeleton Gorge and Smuts Track, you will need to buy an entrance ticket to Kirstenbosch Gardens for 55 Rand (US$3.90). 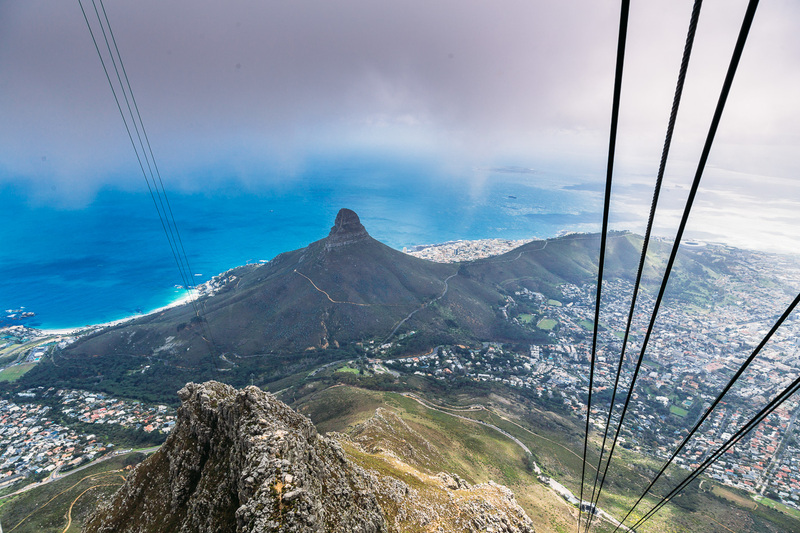 A one-way ride down the Table Mountain Cableway costs 125 Rand (US$8.80). 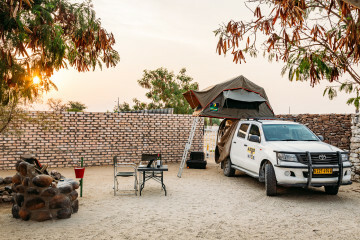 An adventurous world-wandering couple with a passion for street food, adrenaline inducing activities and adventure. 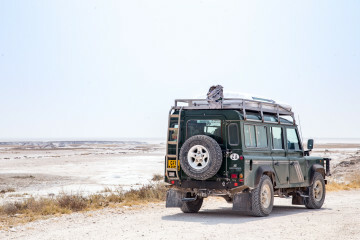 It was our love for travel, photography, and sharing our adventures that inspired us to create this website. 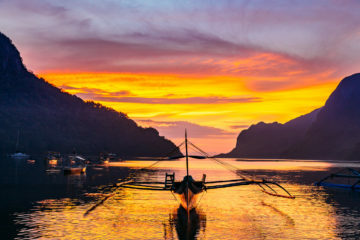 We invite you to join us as we share our travel adventures, city guides and photography. 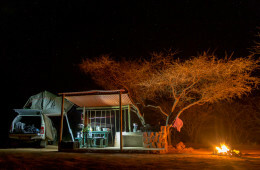 Namibia Self Drive Guide: How Much Does it Cost? 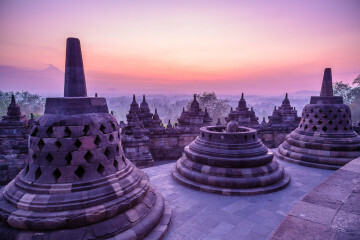 Is Borobudur Sunrise Worth It?